If your dryer stopped functioning well and you are looking for a service to repair it in Fresno, CA then you are at the right place. Fresno dryer repair is specialized in repairing dryers for over 15 years. Call 559 960 0798 and ask for Fresno dryer repair if you wish to repair your dryer. 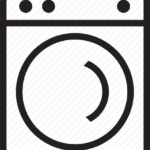 Our technicians can repair every type and brand of dryers in a short period of time. Furthermore, they can replace every non-working part with a factory new replacement part. Fresno dryer repair in CA can repair every problem of your dryer. Some common problems which Fresno dryer repair has fixed before are in the following list. If you have any questions you can call us we will answer every question of yours. Additionally, Fresno dryer repair is specialized in repairing both major and minor brands of dryers with reasonable prices. Some major brands which we repair are in the following list. Do not worry if the brand of your washer was not mentioned in the list above. We repair every brand and type of dryers. Call us and we will help you no matter what the problem of your dryer is.